ONCE MORE WITH FEELING: BOOK IT! AUDITION PROCESS Music Theatre Workshop! BOOK IT! AUDITION PROCESS Music Theatre Workshop! DreamHonor has listened to you! We have revamped the class to add an agent's input! It will encompass technical and physical approaches to presentation. How do you come across? Are you meeting your potential in that audition room? Singers bring in TWO 32-bar cuts that contrast in style/tempo/era. The work is on presenting type through physicality of voice, energy and choice of repertoire. Etiquette in the audition room and how you claim it; Working to discover the room and how to claim it fully and discover your strengths in the surreal environment we call "the audition"! What do you want to show? What do you want to see? Do you know the difference between aggressive and assertive and can you project both? How do you stay present? AND MORE! 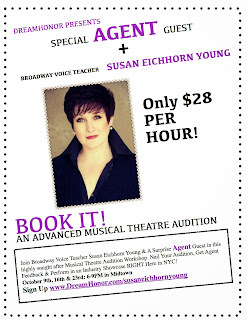 Dress to audition and prepare to discover MORE for that next audition! Then get some feedback from a BI-COSTAL AGENT! Then PERFORM in the intimacy of a cabaret space in SHOWCASE for industry and family and friends! 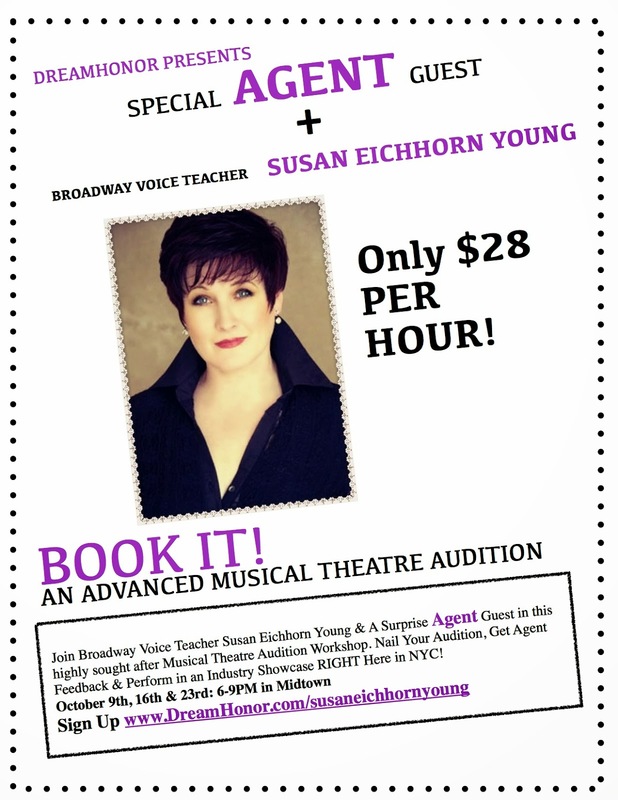 Ask Today, A Cabaret Tomorrow - a LIVE Q&EH!